To help you get started searching for Calgary Condos, we've create a series of location and price-range based searches that allow you to quickly narrow your condo search. We have also provide short cut custom searches for the most popular Calgary Condo buildings for those who are interested in finding condos for sale in a specific development. Here you can search for Calgary Condos and learn more about many of Calgary's newest condo developments, including the range of suites available, the building features, and nearby amenities. Building Amenities: Rooftop deck (common property), party room, heated parking, in-house Smart Car sharing program. 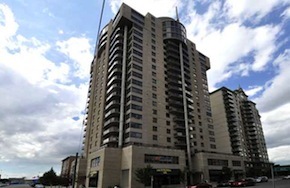 Close To: Transit, downtown, restaurants, grocery, boutique shopping, 17th Avenue, Saddledome. One of Calgary's newest condo buildings, Colours is 23 stories high and contains 209 individual condo units, mostly one bedroom and one bedroom plus den suites. Designed to appeal to urban-loving young professionals, Colours offers a wide range of floor plans and contemporary finishes, including polished concrete floors, granite counter tops, 9' ceilings, and floor to ceiling windows. Most units have a unique sliding glass door, allowing you to flexibly open or divide your space as needed. Located in the vibrant First Street Village, and easy to spot because of it's amazing and beautiful two-storey coloured glass exterior art wall. 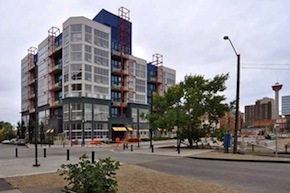 Building Amenities: Ground titled parking, above grade parking, fourth floor outdoor patio (common space), recycling bins, 15 bike-sharing mountain bikes (common property), Smart car donated to community car program, air conditioning. Close To: Transit, downtown restaurants, grocery, boutique shopping, 17th Avenue, Saddledome. 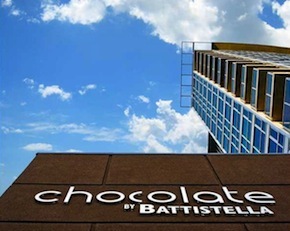 A newer Calgary condo development in the Beltline, Stella is a 20 storey condominium highrise and the first of three new condo towers along 12th Avenue. Surrounding the 11th Street entrance are 160+ ground level townhomes and commercial retail units, and underneath the development is a three-level parkade with 200 parking spaces. Stella provides both 1 bedroom and 2 bedroom condo units as well as a couple of luxurious penthouse suites. Most units offer impressive views with floor to ceiling windows. Building Amenities: Fitness room, steam room, lounge, social room, indoor heated parking, guest suite, outdoor patio (common space). Close To: Transit, downtown, restaurants, grocery, shopping, parks, recreational facilities, 17th Avenue. Easily recognized by its green coloured windows and red brick walls, the Emerald Stone is 23 storeys and contains 160 condo unites including 1 and 2 bedroom floorplan options as well as two penthouse suites with oversized corner balconies. Several lower level suites feature large terraces, and the higher level suites provide amazing views of Calgary, made better by the floor to ceiling windows in each unit. A landmark building in the Connaught community. Building Amenities: Games room with billiards table and golf simulator, fitness room, underground parking, bike storage, assigned lockers, air conditioning. Close To: Transit, downtown, restaurants, grocery, shopping. 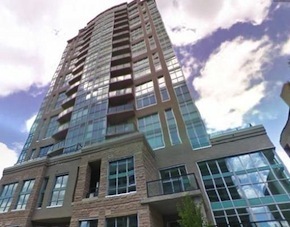 26 stories high with 354 condo suites, Vantage Point was designed to be a very dense Calgary condo community with units of smaller than average footprints, making this building extremely affordable for first time home buyers, especially given its prime central location. Most are 1 bedroom suites varying between 463 and 550 square feet, though there are also a selection of 2 bedroom units varying from 650 to 850 square feet. Underneath the residential units sits a large commercial retail space that includes the Calgary Co-op Midtown Market. Easy access to downtown, Crowchild Trail, and Macleod Trail. Building Amenities: Indoor heated parking, fitness room, steam room, lounge, bike storage. Close To: Transit, downtown, restaurants, grocery, shopping, 17th Avenue. With 16 storeys and 129 suites, this Calgary condo building's octagon shape is easily spotted and has resulted in some uniquely designed suite floorplans. Most west and north facing suites have lovely views of the Calgary River Valley and North Hill, and the location provides easy access to Bow Trail, 5th Avenue, and 14th Street. A highly secure building, Discovery Pointe offers secure underground parking, 24 hour security personnel on site. After-hours visitors are required to dial up twice: once to get into the lobby, and again to go up into the west tower. Building Amenities: Two games rooms with billiards, ping-pong, and foosball tables, fitness room, sauna, outdoor rooftop patio, boardroom, parkade, 24 hour security, pet friendly (with written permission from condo board). 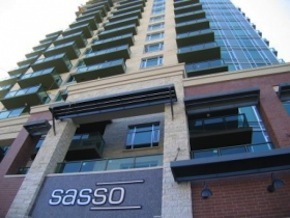 An adult-oriented 18+ condo development close to Calgary's downtown area, Sasso is 24 storeys and has 192 condo units atop ground level commercial retail space. There are a variety of unit layouts in this building, including many with irregular angles and shapes that will appeal to Calgary condo buyers looking for something a little different. Suites range in size from 1 bedroom to large two-level penthouse suites. 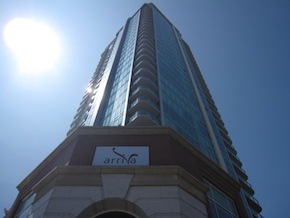 Stampede fans will love this building and it's location: only a few minutes walk from the Stampede grounds! Building Amenities: Adult building, large outdoor patio and garden, fitness room, hot tub, billiard tables, lounge, air conditioning, underground parkade, storage units. 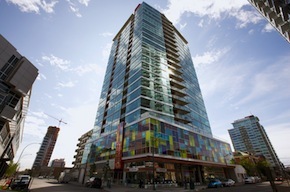 Close To: Transit, downtown, restaurants, grocery, shopping, the Beltline, Olympic Plaza Cultural District, Stampede Grounds. Building Amenities: Heated underground parking, 24 hour security, individual storage, bike lock-up, guest suites, terrace park. Close To: Transit, downtown, restaurants, grocery, shopping, Saddledome, bike paths, playgrounds, parks. Building Amenities: Air condition, titled parking, visitor parking, assigned storage lockers. 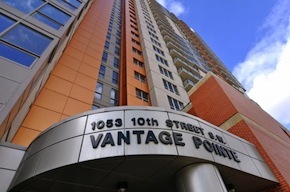 Close To: Transit, downtown, restaurants, grocery, shopping, 17th Avenue, the Red Mile, Stephen Avenue, Kensington. Building Amenities: Heated floors, air conditioning, heated underground parking, storage, visitor parking, social centre with a party room, fitness room, sauna, hot tub. Close To: Transit, downtown, restaurants, grocery, shopping, Century Gardens. 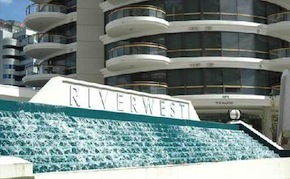 Known for its iconic rounded balconies, Riverwest is a two-tower condo development in Calgary's Downtown core. The Barclay west tower has 105 units and is 23 stories tall, while The McLeod west tower is 27 stories tall and houses 124 suites, bringing the total unit count up to 229. Each has an open floorplan and concrete walls separating ajoining suits, making this building one of the quietest available in the city. Many suites have great views of Calgary's West End, the Bow River Valley, or toward the North Hill. Great building amenities, and close to everything you need. Building Amenities: Indoor swimming pool, hot tub, fitness room, visitor parking, on-site manager & caretaker, storage lockers, attended security, secure underground parking, lounge, meeting room, pet-friendly. Close To: Transit, downtown, restaurants, grocery, shopping, river valley trails & parks. 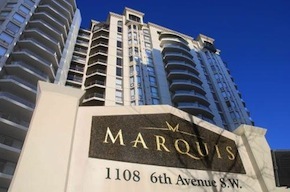 Featuring a unique stepped design, The Marquis varies in height from 8 to 17 stories and is home to 217 condo units. It's design allows most units to have great views of the city no matter which direction they face, and The Marquis' great location means convenient access to everything you need from shops and services to parks and trails. Suites range in size from 1 bedroom to 2 bedroom plus den layouts, and each suite is paired with a uniquely shaped balcony. Units are finished with granite counter tops, in-floor bathroom heating, gas fireplaces, and shower stalls in addition to soaker bathtubs. Building Amenities: High speed elevators, heated underground parking, storage lockers, bike storage, social room with fully equipped kitchen and fireplace, fitness room, spa, meeting room, on-site manager, pet friendly. 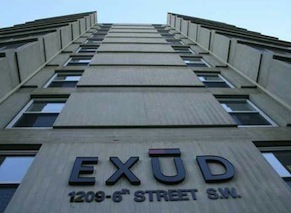 Originally built in 1962, the Exud was renovated in 2005 but still keeps with it's 60s "mod" and avant-garde styling. 11 storeys high, this building has 53 suites with a modernist feel with uniquely place low horizontal windows best viewed from a seating rather than standing position. Most units are 2 bedroom suites and most are corner layouts that widen toward the windows. Building Amenities: Indoor parking, outdoor parking, individual storage lockers. A 106 unit building, Orange Lofts feature uniquely designed loft spaces characterized by 16 ceilings, wide open floorplans, and the exposed piping and concrete floors you would expect in a trendy industrial loft space. Two-thirds of the units have balconies or patios, and most come with titled parking. Building Amenities: Underground parkade, party room, sixth-floor rooftop deck. Close To: Transit, downtown, restaurants, grocery, shopping, river valley parks & pathways, zoo. 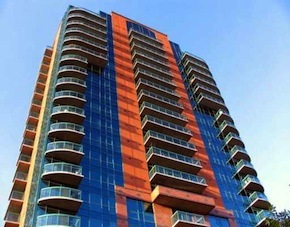 Many people confuse condominiums with apartments. Some apartments are condos but condos come in many varied types. Think of any type of real estate imaginable, it can be a condominium. How? Because a condominium is not a style of property but a specific type of ownership. In basic terms a condo refers to shared interest or ownership of common property. When you purchase a condo you buy into a corporation. That is you own a proportion of the common property in the form of unit factors. The corporation is the legal entity that owns and manages the common property. So what is the common property? The common property can be land, a building, many buildings, a parking lot, a road, etc. When the condo corporation was established a plan was drawn up to specify the boundaries of common property. Lets take the most common example of a high rise. Your property is the space between the walls, floor, and ceiling of your unit or what is often referred to as "paint to paint". The hallways, parkade, elevator, land, parking lot, building exterior, roof, plumbing, electrical, framing, etc. are owned by the corporation. These are the items that must be maintained by the corporation and the reason for the monthly fees charged to the owners. Condos also require bylaws. These "rules" are legally enforceable by the condo board. They relate to the use of ones unit, the expected behavior of owners, and the agreed upon guidelines for the common property. One good example would be rules about pets. For example many condos do not permit dogs. The powers of the corporation allow the board to have the dog removed from the premises. If the owner does not comply the board can levy fines against the unit and ultimately take legal action against the owner. Another example is the restriction of alterations to the exterior of the building. Some owners may want to add add an awning on their balcony, screen in their patio, build a storage structure, or paint their front door a different color. Almost all condos restrict these types of alterations to ensure the overall look and design of the complex is maintained. The guiding principle is the status quo. Condo corporations strive to maintain and enforce the agreed upon conformity of the owners. That is not to say that the rules of the corporation are onerous or extreme. Imagine you live in a college dorm. Almost every weekend wild parties commence and disturb the peace of all those who don"t participate. It may well be that the majority of students dislike the weekly partying but without a common agreement regarding rules and some mechanism for enforcing them, the craziness never ends. Not so in condominiums. In a condo the bylaws govern the behavior of the residents for the benefit of the owners. When buying a condo you must consider above all else how the corporation is managing it"s finances. Every month the corporation collects fees from the owners for the maintenance of the common property in the form of condo fees. This money is used to pay for utilities, cleaning, landscaping, snow removal, repairs, garbage collection, management fees, reserve fund allocation, etc. If managed properly the amount of the fees should remain in line with the local cost of living increases. If managed poorly owners can be charged excessive fees or cash calls may be required to keep the common property in good repair. For this reason every buyer must have a condition in the purchase contract to review all documents relating to the corporation to discover the true financial position of the corporation. Nothing is more important in purchasing a condo than these documents. Below is a list and desription of the most important documents. The Annual General Meeting (AGM) is the one time within the year that Owners are brought up-to-date with the business of the Corporation. It is also the time when Owners direct who they want making the business decisions for the Corporation during the next year by electing The Board of Directors. The Owners elect this board. In Alberta the legal system and the Condominium Property ACR, RSA 2000 support the decisions made by The Board. If you are unable to attend this important meeting, you can give your proxy to another person who will vote on your behalf at the meeting. In a Bare Land Condominium Plan, the boundaries of the units are determined by references to boundaries governed by monuments placed pursuant to the provisions of the Surveys Act. The units are two-dimensional lots of dirt, and typically there is no defining of the buildings or structures built on the land. These are the minutes of The Board of Directors monthly meetings. The buyer should get at least three or four sets of the most recent available. These will provide the buyer the insight into how much maintenance work is being conducted, and what issues The Board is currently dealing with. If the Condominium Corporation is engaged in a lawsuit or a difficult maintenance project, there will be a mention of that in many sets of the minutes. The operating budget for a condominium corporation shows what funds are expected to be spent over a fiscal year in the various categories laid out in the budget, such as landscaping, snow removal, etc. The budget is sent out to each Owner 15 to 30 days before the end of the fiscal year and included in this is either a fee schedule detailing the expected monthly fees for each unit or a letter that states the fees for that unit. 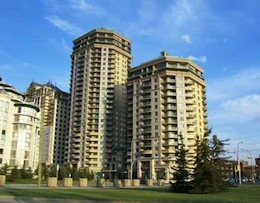 The bylaws for the Corporation are given power by the Condominium Property Act, RSA 2000 of Alberta. Any bylaw registered with the Corporation is enforceable as law. Registered Bylaws apply to all occupants of the Units (Owners and tenants). The by-laws provide the rules and regulations basis on how life is conducted in the complex. Only the set of by-laws registered can legally be enforced, and these are the ones that must be provided to the Owner along with any proposed by-laws the Corporation is trying to pass. The buyer should receive a copy of the current Owner's certificate of insurance, which will show how much the property is insured for, and what the deductibles are. If a loss occurs and the Corporation does not have enough insurance in place than the Corporation must make up the difference (the Corporation consists of all the Owners). The deductibles are most important as that will show the Owner how much the Corporation must pay before the insurance kicks in. This also shows the Owner how much they would be responsible for if a repair is deemed to be the fault of the Owner and the Owner is required to pay the damages. The Owner will want to see that the Corporation has liability insurance and directors & officers' liability insurance. The Condominium Plan, which is registered at Land Titles, shows the overall site and all of the units and their boundaries. It gives you the unit factor chart with the legal number of all the units. It provides the basis for determining the unit factor, gives you the approximate floor area or land area (square footage) of the units, describes where the boundaries are in the surveyor's notes, and reveals whether parking stalls are titled, delineated (may be leased to the Owner) or common property (stalls maybe assigned). 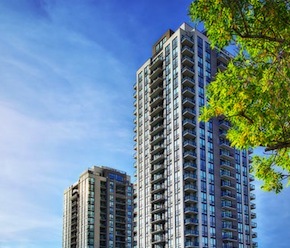 The Condominium Additional Plan Sheet (also referred to as a CAD or CS) contains any registrations against the condominium plan such as: charges against the Corporation; caveats; easements; redivisions; the registration date for the Bylaws: amendments to the plan; and change of The Board of Directors. Information can be registered on this document through the South Alberta Land Titles Office. NOTE: According to the Condominium Property ACT, The Board is to be registered on an annual basis within 30 days from the conclusion of the annual general meeting. The fees are calculated on the unit factor assigned to that unit, or if the by-laws permit, on a fair and equitable basis. The condominium fees or contributions are necessary and are the means for the corporation to conduct repairs and maintenance and pay the corporation's obligations. Most property management companies are able to produce a balance sheet that will reveal the current status of the Condominium Corporation's finances. It must be a balance sheet for year to date, not a monthly one. The year to date balance sheet will show the current amount in their operating account, the current amount in their Reserve Fund, and outstanding liabilities. Even a letter stating the amount in the Reserve Fund can be useful. The audited financial statements will provide the Owner with the overall financial transactions of that corporation over the stated fiscal year. The Owner should have the most recent set, and if possible the previous year set as well. Depending on the detail provided by the auditor, the Owner will learn what capital work has be done over the past year, and in the notes the Owner may gain some additional information, such as whether the Corporation has been or is engaged in a lawsuit. The Board of Directors contracts with a Property Management Company to handle certain aspects of the operations of the condominium corporation. Normally they have the management company handle all the day to day activities, including financial, administrative and maintenance, through an offsite Property Manager. The contract details how the arrangement has been set up, including if the Property Manager attends every meeting and if there is an additional charge for meetings beyond a certain number. The management company is also given the authority in their contract to charge a fee for the reproduction of any of the corporation's documents for a potential purchaser of a unit. Post Tension Cables are, simply stated, a stressed cable form of structure. The cables are imbedded in poured concrete slabs. These cables are prone to deterioration when exposed to water. It is not uncommon to PTC problems. It is not uncommon to have a building with and PTC structure system. As long as the PTC is being maintained and monitored there is no greater safety risk to living in the building with PTC than any other form of structure. What are the advantages of a PTC building structure? More floors, as slabs are thinner. Wider span area, more usable floor space. How safe is a post tension building? As safe as any other building as long as the post tension slabs are being maintained repaired and monitored. The Reserve Fund account is a fund established for the replacement of capital items on the Common Property. A Reserve Fund study gives The Board of Directors a guideline to follow which will minimize the risk of future special assessments in order to repair or replace capital items such as the roof, building envelope, fencing, roadways, parking areas, etc. A Reserve Fund study customizes the Corporation's financial projections to meet the needs of the individual site. Unit factors and the Unit size in square meters are designated on the plan. A condominium corporation is based on a total of 10,000 unit factors. The unit factor assigned to the individual unit represents the Owners undivided interest share (Ownership) of the common property of the Condominium Corporation. The unit factor determines the Owners voting rights as well as the portion of the operating budget or any special assessment Owners are required to contribute, unless bylaws state otherwise. In Alberta, the registered bylaws can state a method of determining the amount of contribution based on a formula other than the unit factors.